NOTE: This tire was designed to replace both the Falken ST-115 and FK-451. Therefore you can match two new FK-452's with two of your existing ST115's and FK451's, no need to replace all 4 tires. Just be sure to mount your new FK452's in the rear of your car. Falken's new FK series line of Luxury Sports tires is clearly the new benchmark for JDM and European Luxury tuners. FK Series Luxury Sports tires are the product of continual evolution and refinement which occurs at the highest levels of automotive tuning. Micro-Low profile sizes (as well as standard sizes) and revolutionary construction specifications provide the foundation for premium import, European, and Domestic full and mid sized vehicle tuning. The core objective of this tires's development focused on the untapped tuning potential of early generation luxury VIP import, European, and Domestic sedans. These late-model chassis employ some of the most sophisticated power-train and suspension systems available today and are poised to capitalize on the growing demands of automotive purists who understand the delicate balance of form and function. Purchased car with YOKOHAMA AdvidEnVigor tires: Good tire, but "doesn't like water" & a bit noisey. Purchased set of Falken FK452's from a friend on MERCEDES rims from a 2014 CLS550. 1. Rolling resistance is INCREDIBLE!!! 2. Car handles like it's super-glued to road! 3. Quick lane-changes are minnd-boggling! 4. "I freaking LOVE these tires!!! 5. NUFF SAID! I put these on my 2007 Shelby GT500. I lowered the car and the alignment was off so I had to replace the original Falkens with these. Great tire for a great price!!! Good looking tire. Wasn't my first choice but a decent tire for the money. Fast shipping too. Sticky tread. Somehow they feel better than the FK451. Not sure if it's my imagination. But, right now, solid tire. Tread is good thus far. No complaints. 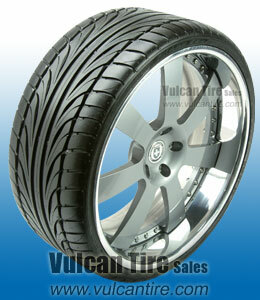 Vulcan Tire is great, tires came quick, and best price for exactly what I was looking for. Second vehicle I put Falken Tires on. They look and perform awesome. These are great for daily fun use. Tread lastes a lond time even after going through turns sideways at 40 or so getting off the freeway. Way fun. The tires are responding good,. my clk500 works very well with these tires. This tire has great dry/wet handling, Treadwear is above average, and the noise level is low. I purchased the 20 low profile tire and have been going threw alot of them due to nails going threw the sidewall. I would recommend going above a 20 low pro if purchasing this tire. Otherwise this is the best tire I have used. I have a highly modified accord with 250hp to the wheels. I thoroughly enjoy how these tires responds with the car. For the price I paid for these they are some of the best summer tires I've had. On top of that they seem to be wearing very very well, which is surprising in a good summer tire. Usually with good wear comes a terrible tire for the kind of driving I do. That is not the case with these. These tires are great. not very noisy and have awesome traction with the road. I did use them in the snow once and they are terrible. definitely only a summer tire. Add very nice style and are definitely lasting a long time. very good value. I would recommend these to anybody looking for tires for their summer car. This is my second pair. The first pair were amazing with even wear without rotation due to my offset, great traction and handling. Great tire for the value. Great tires, though they track a little bit in road grooves. Sporty looking tires, great quality, they handle awesome and the price is not bad. Thanks again. I definetly love the product. Will recommend for any new buyers.